The Easter holidays are here, although as we have been pretty much confined to barracks due to the car needing a new clutch (grrrrr) it hasn't always felt like the holidays. 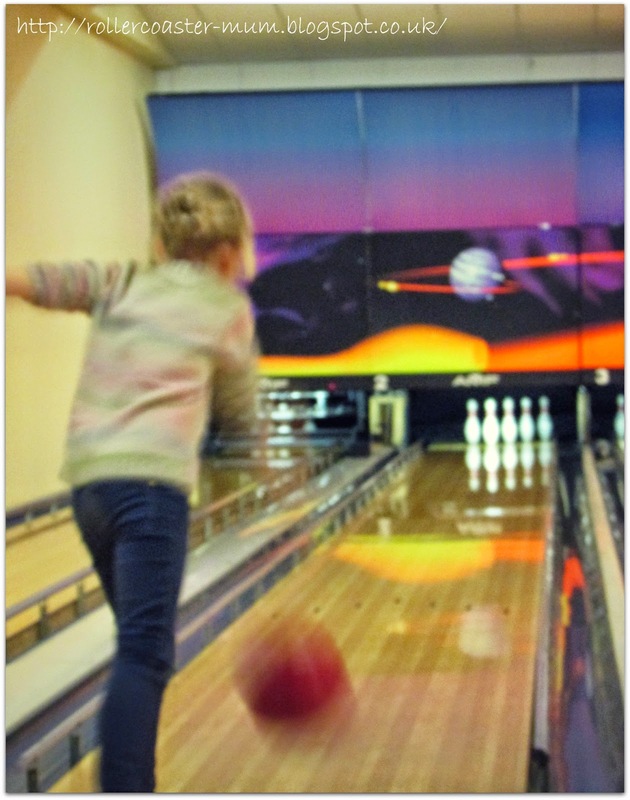 We did escape last Sunday, using Rollercoaster Dad's car to go bowling - the girls were very happy to beat Mummy if not Daddy. I have still been working so the girls have been with Dad or at friends some days but luckily the weather cheered up after Monday and even though we couldn't go anywhere much they have spent a lot of time playing outside and I have even managed to do a spot of gardening. On Friday we finally had our freedom returned with the use of a courtesy car so we were able to go on our prearranged meet up with some old friends to Wilton House. This is a fab place for kids with a massive adventure playground and a gorgeous garden to explore. Today has been a quiet one though as Little Miss came down with a sick bug last night and is feeling rather sorry for herself. Still we haven't had one for a while so I guess it was due. I do hate vomit though - urghhh! 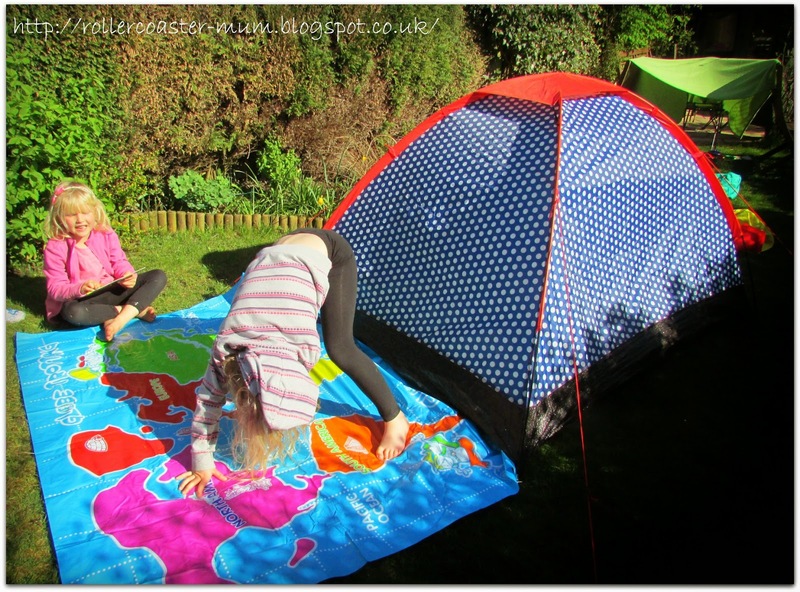 Thankfully we've had some decent weather so even though we've had to stay at home the girls have had fun playing outside and we have had the first garden camp of the year! One day we had a surprise visitor in the form of next door's baby - we babysat her for a couple of hours much to the girls delight. She is gorgeous and really made me realise just how big my girls are now. 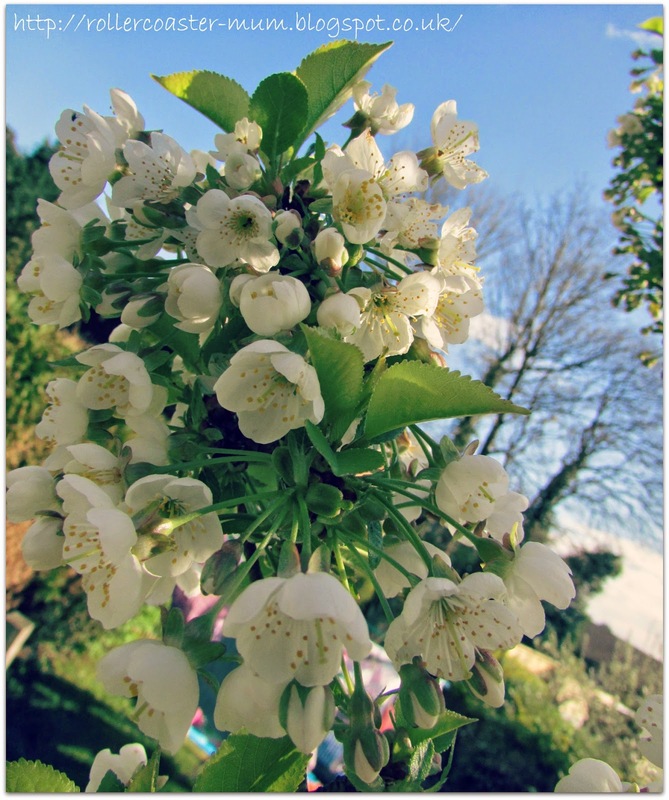 In my wanderings around the garden I had to take some photos of the blossom on our edible cherry tree. I love this one of my two and friends - looks like we posed them but we didn't. Wilton House is a great place for a day out and I took loads of photos so I really must do a separate post on it. 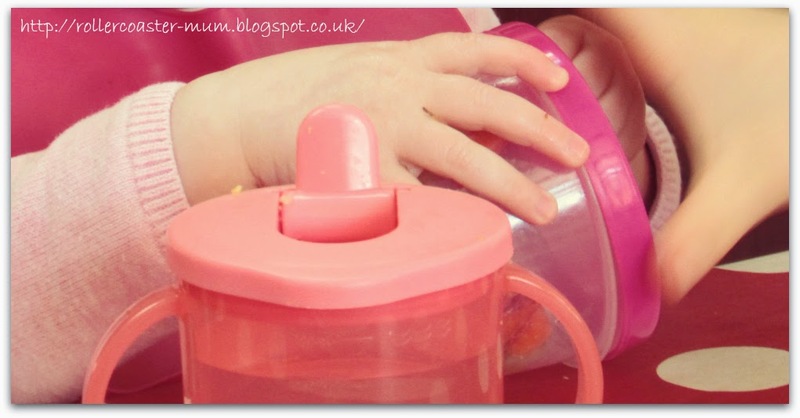 For more half term fun head on over to the lovely the Boy and Me.. I hasten to add they didn't actually sleep out there! That last photo is fantastic - it would make an amazing poster on a room wall? Really clever. 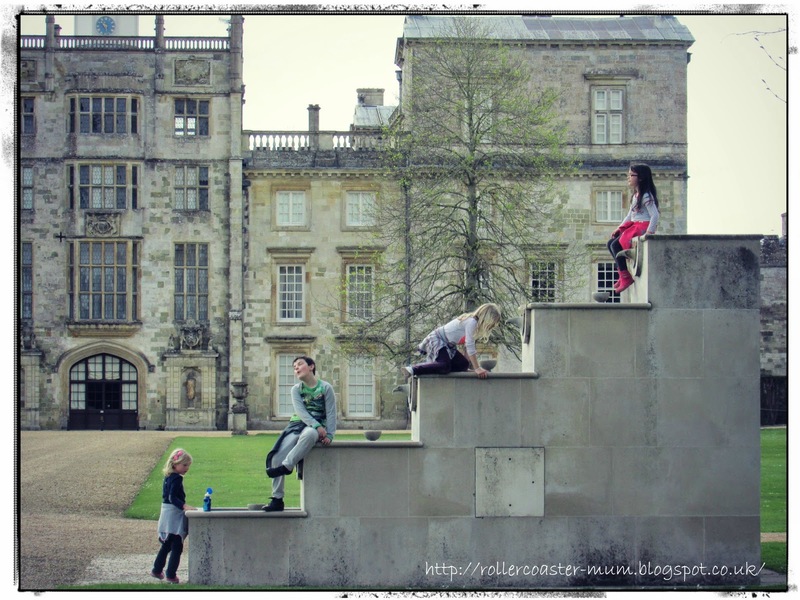 i love the odd but very interesting shaped wall outside of Wilton House - it looks like it could be an album cover shot the way the kids are climbing up it and posing on it. That bottom photo is one of the most amazing shots I've seen on this project, simply amazing! *blushes* thank you - it was honestly just luck! That bottom shot is just fab! oooh no I haven't - might have to go and take a look at that - thank you! That last photo is my favourite. Awesome. Oh yeah that last picture is fab! Camping in the garden looks like loads of fun. Lovely photos but that last one is really good - looks like something that would appear in a photographic show! Sorry to hear about your clutch although great you got transport and were able to go out. Sounds like you had a good week apart from that - I love that last photo, just brilliant!